PRactical Global Relations Blog | How international public relations affects traveling around the world. 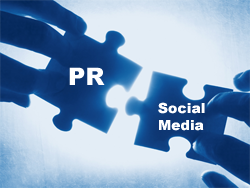 Social media has often times taken the lead as far as tools used by public relations professionals. Although this new tool has caught onto target audiences like wildfire, it does not mean that traditional PR methods are being thrown out the door. There are audiences that will primarily be reached by one medium or the other. 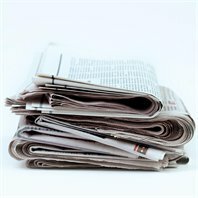 Press releases are the traditional tool for dispersing news. Social media tools also spread news; however, the difference between the two is that press releases are sent to the target group you chose, whereas when you use social media sites you can reach a different group of people that you did not intend to. For example, older audiences, above the age of 70, will most likely not have a social media account such as Facebook. In cases such as this, traditional press releases being distributed to newspapers will be the best strategy to use. Social media tools and traditional public relations tools may reach different audiences but they can, and should, work in tandem with each other to create comprehensive, effective campaigns. Sending something such as a feature article out is a good way for your audiences to gain some insight on who your company is. Using social media sites will also have the same effect. Blogging, tweeting or commenting about an organization that you work for will show followers that you are more than just a company. A PR representative from that company can use new media to show personality and style. Just a few years ago, the only technological tools that public relations professionals used were e-mail and cell phones. Today, there are multiple social media sites to keep up with and it is pretty clear in the field that professionals must learn how to use social media tools from a technological standpoint. PR pros will still be writing traditional press releases, but will also create social media releases to be distributed in a different way. Social media sites grew rapidly and will continue to grow. The key thing to remember is that social media is not going to completely push traditional PR tools out of the way. 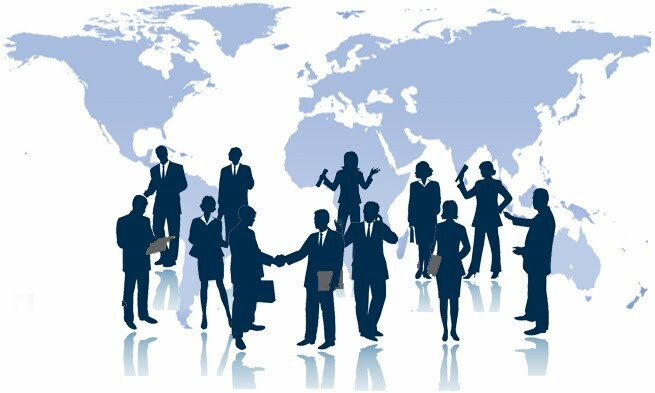 Both methods of reaching targeted publics will continue being successful in the field of public relations. These images are products of Google Image. Social media can be a great tool for organizations to use; however, it can be very difficult to measure the results of a social media campaign. I recently read an article (conducted by Mzinga and Babson Executive Education) that said 84% of social media programs do not measure their campaign results. 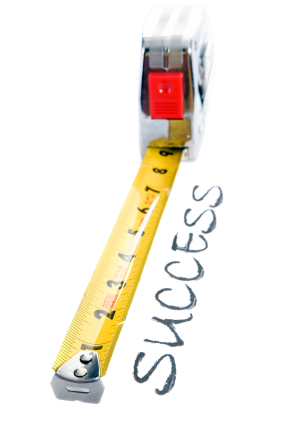 One of the biggest issues with social media is that it is not always measurable. Companies do not always know the best way to figure out if its sites are working or not. The first step before you can start measuring your social media returns if to create goals. Ask yourself, what do you want to accomplish with your presence on social media sites? Some examples are: If you want to increase the company’s sales by 15% or the number of donors supporting a non-profit by 5%. After clearly defining your goals, you should determine where your company is at now in terms of your goals, before implementing your social media strategy. One of the easiest and most obvious ways to measure social media sites is by monitoring traffic. Watch the number of followers, people who comment and mentions of your site on other user’s pages; however, tracking numbers is not the only tool you should rely on when evaluating success. You should look at the relevancy of the traffic and what the numbers mean in terms of leading your company to its goals. For example, are your blog and twitter pages leading people to your Web site? Does the increase in visitors to your Web site correlate with higher sales? After defining your goals, register your social media sites with Google Analytics. Google Analytics is a service that gives you insight into the traffic and market effectiveness of your Web page. It shows you how people found your site and what pages they viewed or links they clicked on. Best of all, this service is completely free. To evaluate a Twitter account or Facebook page, you can use Google Analytics to track the amount of traffic being drawn to your company’s Web site from a posts, comments or tweets. It’s important to remember that social media can be a helpful, but also very time consuming tool. The tools I have talked about require you to set aside a little time every day to evaluate the progress of the social media sites. In the end, these small steps are going to be important when asking yourself what is going right and what needs to be improved. PR Differences: Scandinavia vs. the U.S.
Last week, I listened to a guest speaker, Frans Grandjean, who spoke to the class about situational communication. Frans Grandjean is the director/co-owner of Communiqué, a Danish affiliate of Edelman. Communiqué is the fourth largest Danish public relations company. Grandjean specifically caught my attention when he started discussing the differences between how public relations works in Europe and in the U.S. – a topic of interest to me. He explained one thing he has noticed while visiting several Edelman offices in the U.S., which was that business here is a lot less patient, mostly due to quartly accounts – something not as popular for European PR firms. His overall view of office environment in the U.S. is “tough.” People work harder, longer hours and are generally tolerant of their workspace, i.e. office cluterness. This part of his presentation started me thinking about my experience in France, witnessing a completely different work-life balance. The French generally have more of a focus on being home with their families rather than working a 40-60 hour work week. Most businesses are closed on Sundays, including grocery stores, because they value that day to be not only a religious day, but a day to be a family. These differences in work life in the field of public relations also apply to the different countries in Europe, as well as in capitals and providences. One region might house more firms because there are larger companies in that area with more demand; whereas another region might be small enough to where they do not carry a ton of work. For instance, he used a comparison that it is a lot harder to get something published in the New York Times than the Register Guard. Another interesting point he discussed was that up until recently, public relations in Scandinavia was just press. This means that they did not plan events, distribute fliers, etc. Grandjean said that this region recently took note of the successful public relations practices and techniques being used in England and the U.S. and decided to change to this fresh, new concept of PR. In a global world, these differences tend to disappear. Does No Carnival Mean Less Tourists for Haiti? We are all familiar with the devasting and heart-breaking situation going on in Haiti. What many of us didn’t know, however, is that this is supposed to be the time that Haitians are celebrating the most. This morning, I read an article in the New York Times about the second most devasting occurance that Haiti residents are going through – the Carnival, or “Kanaval” as it is known in Creole, is not happening this year. Kanaval is more than just a party to Port au Prince residents- it is an annual event in celebration of their culture, despite having faced another year of hard living. 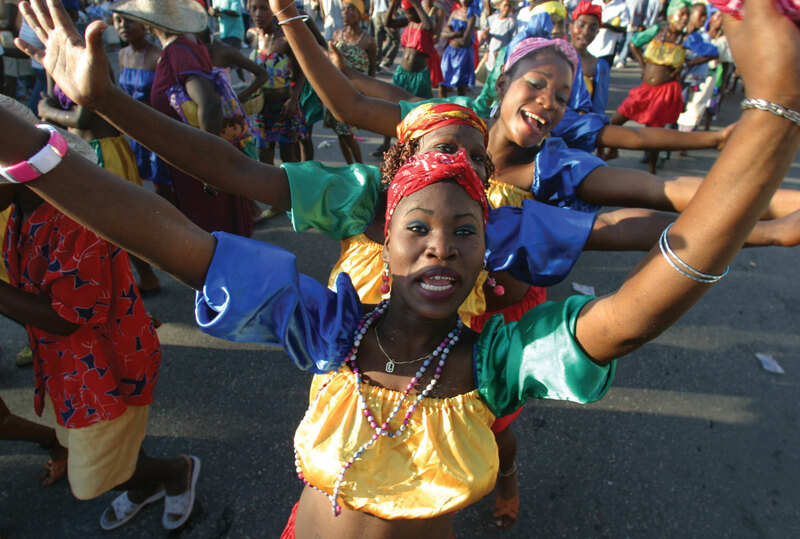 During this national celebration, residents flock to Port au Prince to hear the latest Hatian Music, see dancing and simply celebrate life. Every Hatian recognizes the importance of this national holiday and most would say it is even bigger than Christmas. In the New York Times article, it was said that the success of this carnival can also relate to the success of the country. I began to think about the implications of not holding the carnival this year, other than the fact that residents are suffering in this devastating time. Haiti experiences a fairly low amount of tourism and most of this probably happens in Feburary during the time of the carnival. With an already devastating situation happening over there, this is not helping the economy with the loss of tourism, or the devastation of the hearts of Haiti. This image is a product of Google Image. Friday night’s Winter Olympic Opening Ceremony proved Vancouver to be close behind in the running, if not right next to, China’s Ceremony in summer of 2008. One of the more memorable acts was Shane Koyczan, a slam poet who wrote and performed “We are more.” Koyczan’s speech connected the audience by verbalizing what it means to be a Canadian, while also attempting to define Canada. However, one of the most intersting things about this speech is that Koyczan was first discovered on YouTube for his compelling poetic speaking ability. With the social media world growing as rapidly as it has been, occurences such as this do happen. In just under two minutes, Koyczan was able to successfully show what aspects of being a Canadian make the country so intriguing. He also shows that Canada, an already strong nation, has grown past what it used to represent. Koyczan says “We are more than a laundry list of things to do and places to see.” Canadians have hope for the continuing success and growth of their country, and others will see that when they travel to Canada. Koyczan throws out some strong promotional messages for Canada such as, “A nation that can give you variety. We are choices.” I personally have never associated Canada with a bad image- but it was statements such as these that forced me to be intrigued by the strong values of the culture being presented. “Keep exploring, we are more. We are the surprise the world has in store for you, it’s true. Canada is the what in what’s new. So don’t let your luggage define your travels.” I love the last line in this part of Koyczan’s speech because it is reminding us to keep an open mind about other countries and to realize the positives and benefits that Canada has to offer. I could not think of a better way to start the Opening Ceremonies in Vancouver than hearing an ode to the country from a passionate citizen. This video is a product of YouTube. Notice some differences? While the two commercials are both advertising the Toyota car company, they display very different meanings. They each insinuate different reasons for why their viewers should buy a Toyota. The first commercial is saying that Toyotas are so fuel efficient that you can drive wherever you want, worry free. You can even play chase with your dog all across town. The second commercial suggests that Toyotas have a “strong attraction,” as written at the end of the commercial, and that a man may even want the car more than the attractive woman behind the wheel. I suppose it could also show that the car is fuel efficient enough to drive across town with a stranger following behind, but that was not the main point being conveyed. Creating campaigns with commercials are very costly, not to mention also time consuming. It would be easy for a multi-national company to launch one commercial world-wide and call it good; however, cultural values are going to be a more important issue than price. A public relations or advertising professional must approach a new commercial campaign, or any campaign for that matter, ready to reflect the values, beliefs and realities of the particular culture they are distributing the campaign for. For example, in Europe energy and water prices are extremely high. So, when trying to promote a new appliance, it would be beneficial for the professional to keep this in mind by highlighting its “light water use,” for example. In one of my PR classes, Strategic Public Relations Communications, my instructor showed a couple commercials made by Sylvania lighting company. The commercial was for “Dot-its,” a small light that can be stuck onto anything. The European commercial made a point to show that the light is battery powered and will not use any electricity. They achieved this by showing many people using the light on-the-go. The U.S. and international commercials even played different music in the background, which can also play a fairly large role in the successfulness of the campaign. It is extremely important to be aware of international and cultural differences, especially when looking at what will make a successful commercial. Countries have different likes/dislikes, cultural values and forms of communication. A lot of thought must be put into every detail and decision, big or small, to ensure that you are promoting your company’s product in the best way possible. These videos are products of YouTube. The ever-so-popular global coffee brand first started opening it’s now 400 shops across China in 1999. Starbucks has served to be a highly successful multi-national corporation. However, when the company opened a store inside Beijing’s Forbidden City it managed to only thrive until July 2007. While reading Gang (Kevin) Han and Ai Zhang’s public relations review on this story I wondered, “How could a successful global empire such as Starbucks go under?” It was interesting to read on to find out that the closing of the particular outlet had nothing to do with profits; instead, it was the product of web-based activism and one influential blogger. Bloggers have become a huge influence to public relations communication and a man named Rui definitely proved it. 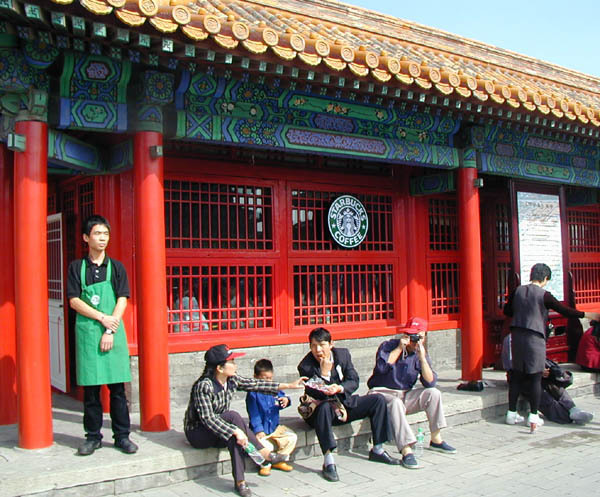 This media celebrity blogger posted that the presence of a Starbucks coffee shop had “undermined the Forbidden City’s solemnity and trampled over Chinese culture;” This one individual was powerful enough to create an international public relations campaign, but he also challenged his rights of Internet-based communication. I imagine that this was an extremely interesting, yet difficult, case for the public relations division of Starbucks. This is a case where they would have to dig into China’s cultural history and come up with a strategic solution to blend the multi-national company with the rich, “museum” culture that the public (the blogger and his thousands of followers) feel so strongly about. Sounds like a good opportunity for a very strategic public relations campaign to me. So, for those of you looking to sip on that renowned vanilla latte while visiting the Forbidden City, you may want to plan to enjoy other attractions in one of China’s most sacred places. This image is a product of Google Images. The ethical issues that journalists and PR praciticioners face are endless. One of the more recent issues is that of participatory journalism and the world of social media; specifically the blogosphere. In an ethics class that I took from UO professor Thomas Bivins, we discussed participatory journalism and how this has created an ethical issue in the world of journalism. Participatory, or “citizen,” journalism is a new media that has increased significantly with them rising amount of internet users today. There is an ongoing debate regarding participatory journalists, such as bloggers, and whether or not they should be classified as “real” journalists. The fact of the matter is that blogging, and other forms of participatory journalism, is becoming a phenomenon and it becoming harder to not participate. One of the problems with participatory journalism is that everyone is a writer. Anyone can upload videos on YouTube or post photos on their Facebook page; but As Bivins points out, when does audience participation translate into journalism? Some people say that being a journalist must involve “original reporting” and have some sort of editorial filter. Can’t the readers represent some sort of editor? This is where a fine line begins between opinion and news. The world of blogging is different because the transparency is so difficult. Participatory journalists often link their blogs to stories that are produced by the media. Credibility and trust are two standards that we expect of journalists; however, this isn’t always the case with citizen journalism. 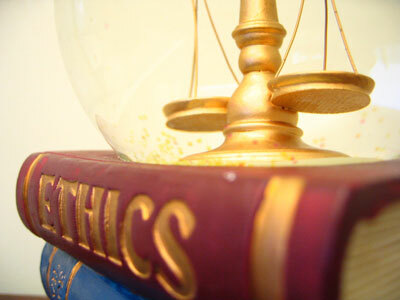 Journalists follow a set of ethical standards that lead them toward the right actions. Bivins points out that bloggers, and other “new media,” need to set their own standards keeping in mind their obligation to their readers. Our society has experienced a huge technology transition in the past decade and this is definitely creating a change in journalism, as well as adding to the debate regarding participatory journalists. I think this is a positive shift for the journalism and public relations industries, it may just take a while for the positives to outweigh the difficult transition of having a countless number of voices. I recently read a post from the Caribbean PR Blog about a new social networking site for people in the Caribbean called MyAbeng. Creator Mark Lee, a Caribbean communicator in Canada, even created an incentive for networkers to join. In the first six months, he will be giving away two car/desktop fridge per month. This appears to be one of the first networking sites created only for people living in the Caribbean. The site will allow people in distinct places to communicate with each other through discussion forums, live chat, internal email and blogs. The description of the site sounds like any other social networking site in that people can be a part of any type of group, from a group of friends to a professional association. But what makes it different? MyAbeng is actually built “around your desktop” and is your main hub for receiving messages or any sort of notice through the social networking site. It is interesting to see the amount of social media expansion that is happening in other regions of the world, particularly in the Caribbean where you may not associate much use of the internet. It is difficult to find much information about MyAbeng so it’s hard to tell how successful this venture has been. Neverthelesss, it is refreshing to hear that these countries have recently decided to step foot into the world of social media. Welcome to PRactical Global Relations! My senior year at the University of Oregon has already brought about several changes in my life. I spent the fall season studying abroad in France and learned a lot about myself, while diving into another culture. I will be graduating in June with a degree in public relations, but what does that really mean? I’ve spent awhile thinking about this question and the best answer I could come up with is that my aquired knowledge from school is going to act as a magical key. This does not mean that I will be given any dream job I could want at the snap of my fingers. Instead, it will allow me to see many different opportunities and paths that I feel ready to chase. I can’t tell yet what lies next for me but i’m open and ready for the unfolding of new experiences and knowledge in my life, making these next several months very exciting. One of my strongest areas of interests in school is international public relations. I find global relations and interactions fascinating and hope to pursue a career in this field. In order to learn more about this particular field, I decided to create this blog as a way to learn and expand by interacting with others in the international PR blogospeare. I also have a strong interest for traveling and would like to explore where it crosses with global PR. This blog will focus on how international public relations affects traveling around the world. I will discuss positive events and use constructive discussion for negative issues within international public relations. My hope is that this blog will open a window to looking at the different issues globally that affect us here in the U.S. I am excited to be creating a space where I can write and comment about issues happening globally, while also linking these issues to travel. I will also occasionally be incorporating the knowledge I aquired from my time abroad. I’m excited to share what I hope will be practical takes on travel and the world around us as I continue my education in the field. I created this blog to voice a different perspective. So whether you are a PR students, someone interested in international affairs or a travel guroo, I welcome you on my path to understanding global relations.